A New York City concert by Bernie Sanders supporter T.I. turned violent before the rapper even got on stage as gunshots killed one and injured three, according to reports. The incident started backstage where the rappers performing in acts before T.I. were gathered but spread onto the main stage causing panic at the concert venue, according to the New York Post. 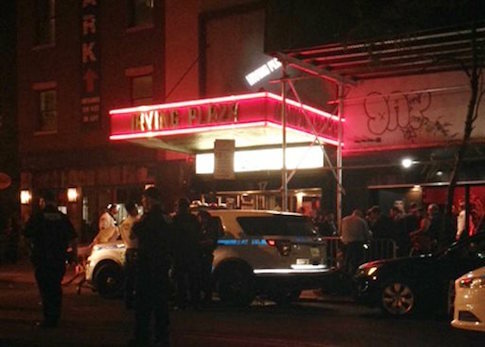 The carnage began in the green room of the Union Square venue at about 10 p.m. while the opening act — rappers Maino and Uncle Murda — were performing, according to law-enforcement sources. The mayhem began after a fight erupted in a limited-access section on the seventh floor — before spreading to the second floor, where the shooting took place outside the green room, a police source said. More than 1,000 people were in the house at the time, including rapper T.I., the source said. T.I. announced his support for Sanders earlier this year, basing the decision on rival Hillary Clinton's comments about "super-predators." Rapper 50 Cent, a vocal Clinton supporter, knew one of the women who was shot and visited her in the hospital. "What’s happened here is not good," 50 said. New York City Police Commissioner Bill Bratton blamed the shooting on "so-called rap artists who are basically thugs." "The crazy world of the so-called rap artists who are basically thugs that basically celebrate the violence … and unfortunately that violence often times manifests itself during their performances and that’s exactly what happened last evening," Bratton said. This entry was posted in Politics and tagged Bernie Sanders, Hillary Clinton. Bookmark the permalink.